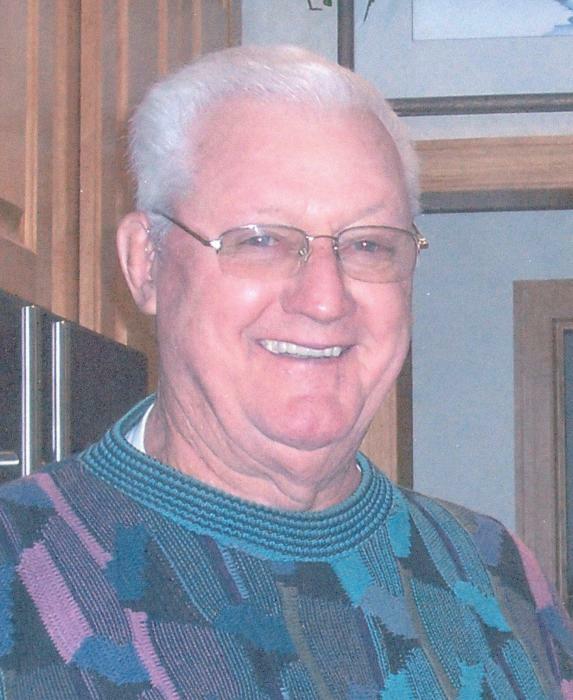 Clifford L. Welch, age 92, of Watertown, SD, passed away on Sunday, March 24, 2019. In accordance, and with great respect to him, Cliff did not wish to have a funeral service, rather he asked that any gathering be a private time for the immediate family. In lieu of services the family would like to express to you about a man that was committed to his country, community and family. Cliff was born on April 21, 1926, in Florence, SD, to Frank E. and Erma (Soper) Welch. He attended Watertown High School and entered the U.S. Navy, serving in both WWII and Korea. Cliff was a National Honor Guard at the signing of the Panmunjom Peace Talks. He served on the USS New Jersey and received a Purple Heart. He was honorably discharged. On August 11, 1956, Cliff married Kaylyn Mondloch at Immaculate Conception Church in Watertown. He worked for Cave Supply then the Frank Bard Napa store in Watertown, where he worked his way up to the Sales Manager of Napa in Minneapolis, MN. Once he retired from Napa Cliff worked as a consultant for Napa jobbers. At this time the couple “hit the road” and traveled all over the United States before settling back in their hometown of Watertown. Once back home he took pride in working as an Industrial Developer in Watertown, on projects such as the Redlin Art Center, John Calvin Industries and many other prominent businesses in the area. He was a member of Holy Name of Jesus Catholic Church, the American Legion, the VFW and the Watertown Elks Lodge. He loved politics, playing Farkle and sitting around the campfire with family and friends. He was never short of projects and loved to “tinker” on all kinds of creative endeavors, always a resourceful problem solver. Cliff is survived by his wife, Kaylyn of Watertown, SD; his children: Renee (Paul) Hartmann and Julie (Gary) Stefano, both of Maple Grove, MN, Greg (Kay) Welch of Buffalo, MN, Shannon (Frank) Urbano of Denver, CO, and Patrick (Paula) Welch of Ramsey, MN; nine grandchildren and two great-grandchildren; two brothers, Bobby Welch of Watertown, SD, and Frankie (Esther) Welch of Madison, WI; and one sister, Patty (Dave) Linngren of Watertown, SD. He was very fond of all his siblings and enjoyed all of his nieces and nephews. Cliff is preceded in death by his parents; three brothers Harold and Clayton and infant Eugene Welch; and one sister, Frances Engwer. Cliff will be missed and always loved.